Show your best friend you really care. 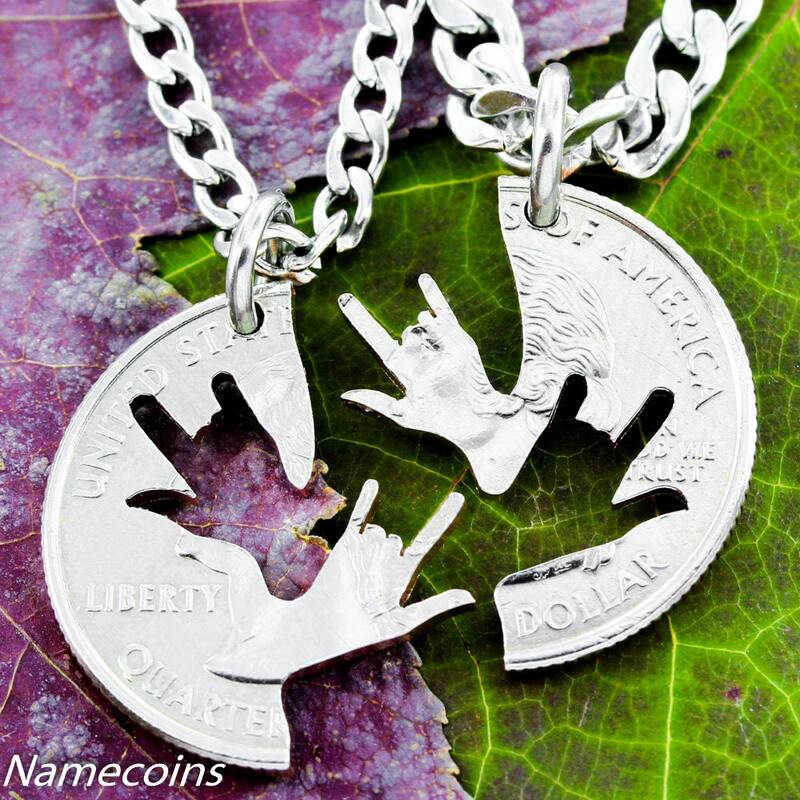 These are beautiful interlocking necklaces featuring I Love you hands in American Sign language. 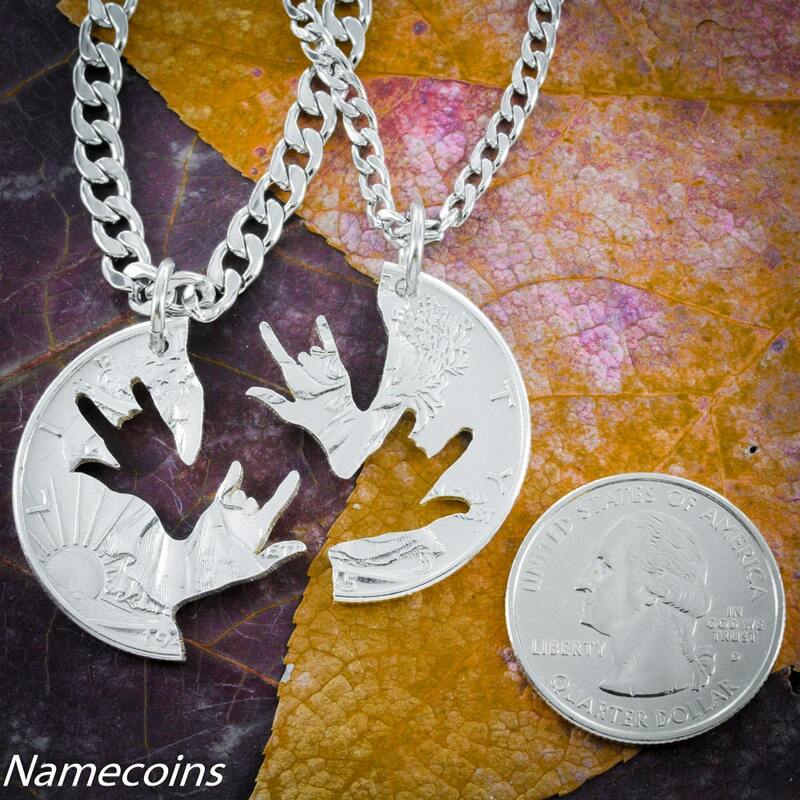 Our Interlocking designs are cut from the same coin and fit together like a puzzle. 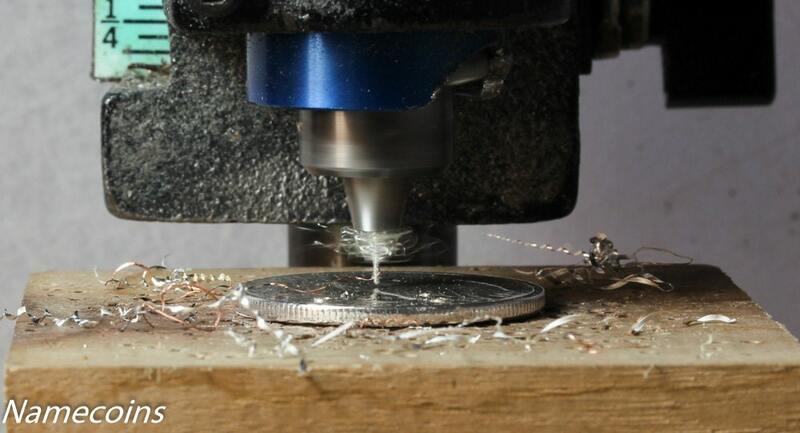 All our jewelry are hand cut, this provides you with the best possible quality. These designs make a great gifts. 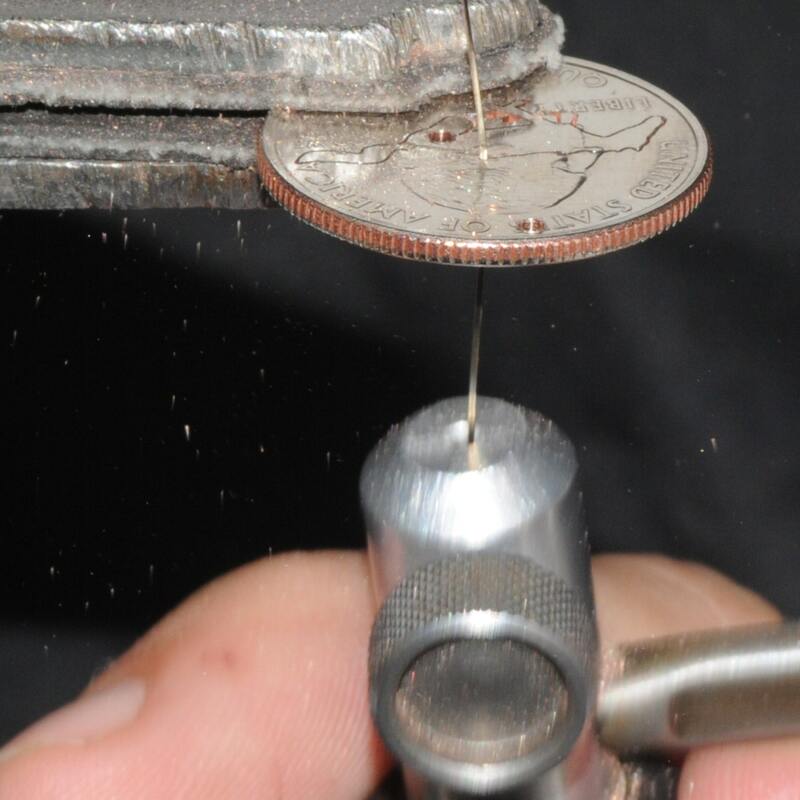 Request your coin cut on a specific state quarter on the front or a special year to make it extra special. We provide unique jewelry for unique people. You can choose your options too. 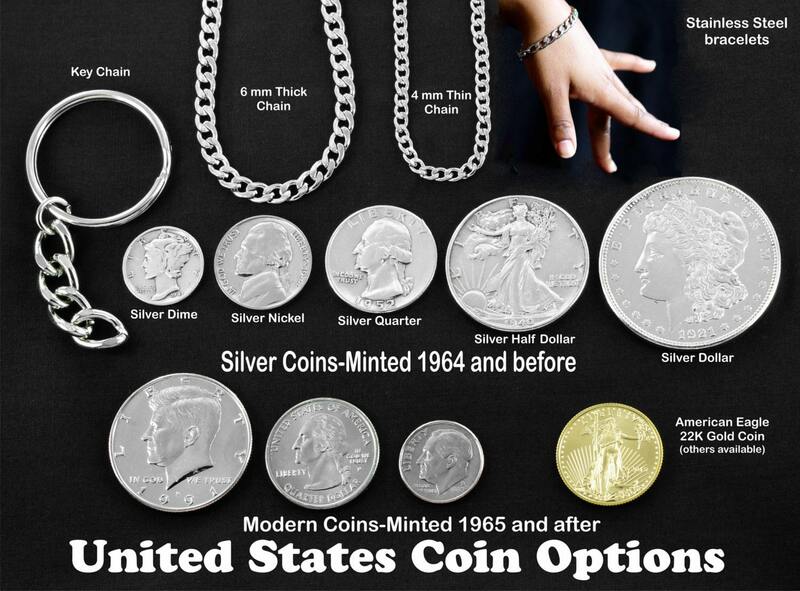 We use high quality stainless steel chains and offer key chains and black cords. Item was shipped quickly and arrived quickly. Just as pictured. I'm excited to gift this to my friend! Thank you SO much! My coin was exactly as promised, and is a beautiful tribute to the bond between my cousin and I. This shop is highly recommended for beautiful and unique jewelry.